Jordan Peele’s recent horror blockbuster “Us” follows his 2017 directorial debut with the Oscar-winning horror film “Get Out.” Critics and audiences have hailed the African American filmmaker as a pioneer of black horror films as metaphors for social, economic and racial injustice. “Us” explores the monster lurking within ourselves in the form of the evil doppelganger. Oscar-winning actress Lupita Nyong’o describes her dual characters of Adelaide Wilson, a middle-class mother and wife, and Red, her disturbing double. FILE – Lupita Nyong’o arrives at the Oscars at the Dolby Theatre in Los Angeles, March 4, 2018. Peele said he uses horror to address race relations and the growing socioeconomic divide in America. His previous horror film “Get Out” was about wealthy elderly white people extending their lives by having their brains transplanted into young black people. “Us” is about the reckoning of privileged Americans by their disadvantaged selves. 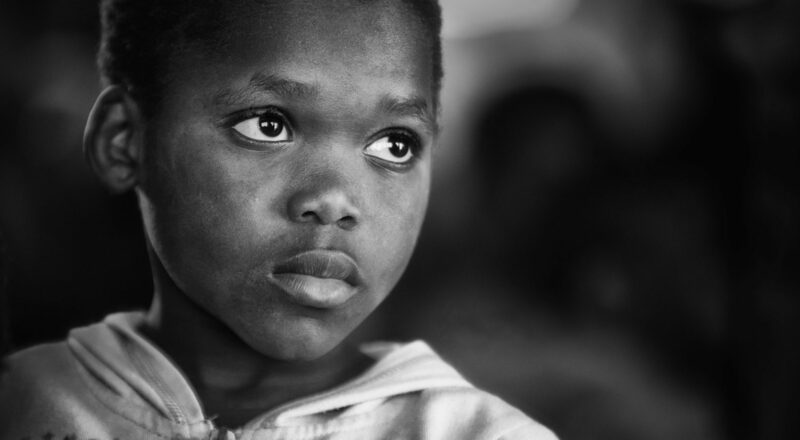 “It’s more about what we’ve become as a country and a retribution of how we are treating each other, all centered around how a family deals with being attacked by themselves,” said producer Sean McKittrick. “Oftentimes, we feel that the monster is from outside of ourselves, outside our borders, outside our homes. In this story, the monster is really within our very selves, and it’s about embracing that or at least recognizing it,” Nyong’o said. Horror film expert Andrew Scahill said Peele epitomizes the era of black horror movies. Scahill said in past horror movies, such as George Romero’s iconic 1968 horror flick “Night of Living Dead,” black actors were either killed off within the first 10 minutes or used as tropes to save white leading characters before getting killed off. 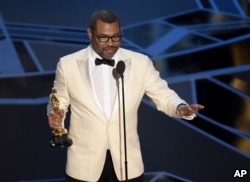 FILE – Jordan Peele accepts the award for best original screenplay for “Get Out” at the Oscars at the Dolby Theatre in Los Angeles, March 4, 2018. Now, he said, Peele establishes them as the main characters who are here to stay. “Jordan Peele does not plan on casting a white actor in a lead role because that movie has been done,” Scahill said. Scahill said the concept of the monster within is as old as Jekyll and Hyde or Frankenstein. The same applies to using horror as a platform for social commentary. Scahill said in millennial horror films, the killing force cannot be as easily identified and, consequently, controlled. He said such themes as those explored in “Us” reflect the anxiety of millennials losing control of their socioeconomic and environmental well-being, and their inability to change the system.